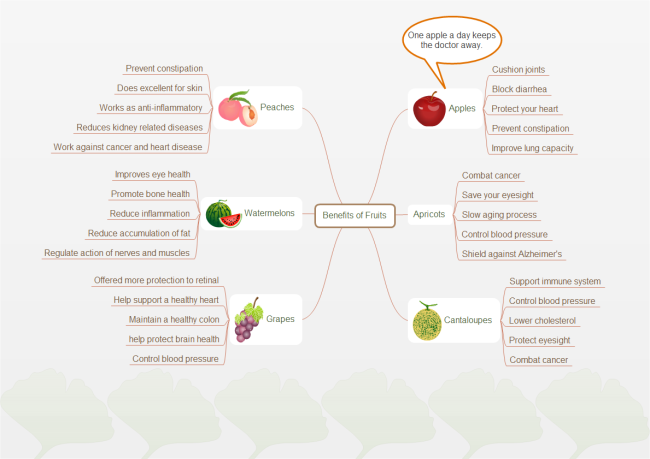 Create a pictorial mind map in a smarter and easier way. Check it out in this detailed guide with screenshots. Sometimes one picture's effect is greater than thousands of words. 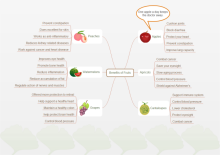 After you finish the main structure of a mind map, you can make it pictorial and compelling by adding symbols, background, or other illustrations just like the following examples. 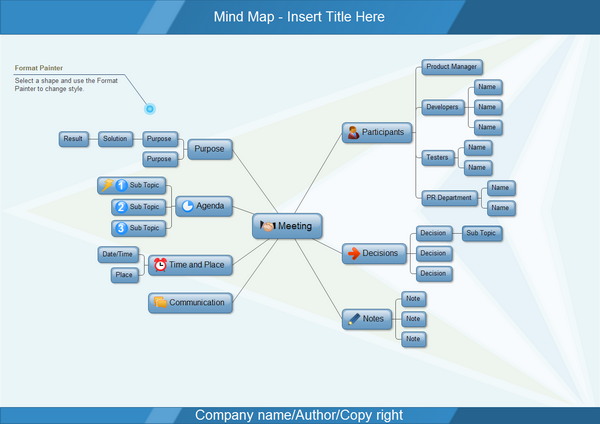 One of the most fantastic things of Edraw Mind Map is that the added symbols can be glued to the shapes. That is to say, after inserting these smart symbols, you can move the shape along with the symbols. To accomplish this effect, follow these steps. 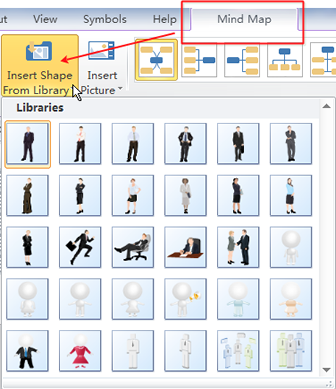 Use Open Library command (on the upper left corner of the library panel) -> Choose Mind Map category -> Select Symbols -> Drag the symbol you need onto the target shape (Release the mouse when an orange box shows). 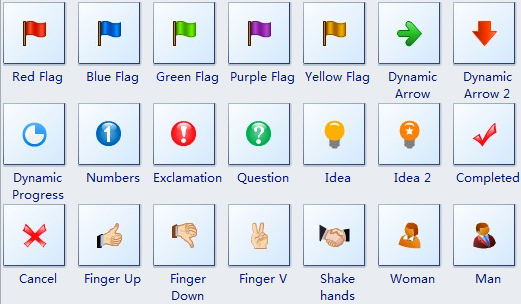 Have a look at Edraw's vector symbols specially designed for mind mapping. There are a host of clipart embedded in the library, such as Animals, People and Fruit. 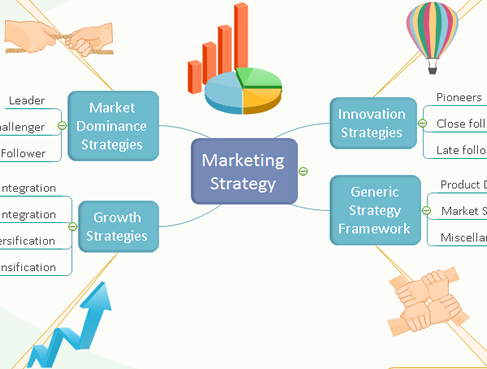 Take advantage of these beautiful clipart to make vivid mind maps. To use them you need to use the command of Insert Shape from Library. Firstly, Open Illustrations from the library. 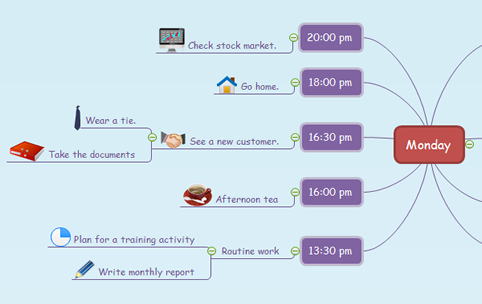 -> Secondly, Click Mind Map menu. -> Then use the command of Insert Shape from Library. -> Choose the illustration you like. Note that using this command means to add shapes from the currently open library. Except for the Symbols, all other kinds of shapes should be inserted in this way if you want to glue them with mind map shapes. We have already compressed the steps of inserting background into simple drag-and-drops. When you open a blank mind map drawing page, the library of Background also open by default. 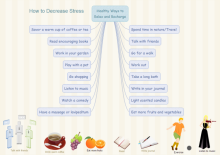 You can add these backgrounds to your diagrams very easily. To accomplish this: Click Background button on the library panel -> Choose your preferable Background -> Drag it onto the canvas -> Drag another Background if you don't like the previous one. Edraw owns professionally trained technology support staff ready to answer any question via email. Click here to learn more about Edraw support.